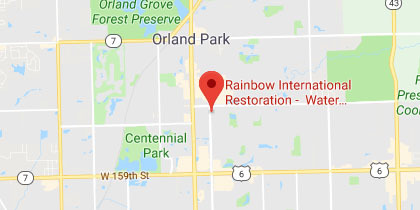 At Rainbow International Restoration of South & West Suburbs, we are proud to assist property owners in Downers Grove, IL, who suffer from water damage. Excess water and moisture, no matter the cause or scale, can lead to significant property damage if it is not properly addressed in a timely manner. Through our water damage restoration services, we utilize advanced equipment and proven procedures to remove water, eliminate excess moisture, and prevent permanent damage from occurring. Our technicians at Rainbow International Restoration of South & West Suburbs have undergone a background check as well as extensive training to provide quality water damage restoration. We also offer a price match guarantee in which we will meet or beat competitive proposals that are in line with the IICRC’s standard of care. Residents of Downers Grove experience a wide range of weather conditions throughout the year, from frigid winters and slushy springs to hot and humid summer nights. This simply means that your property is exposed to a number of risks at any given point in time that can lead to water damage. Frozen and burst pipes can occur during the winter, while leaks and flooding can happen at just about any time. 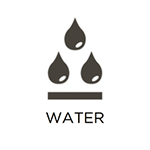 No matter the cause of the water, the dangers to your building and its contents can be severe. A major problem with uncontrolled water is that it can easily pass through cracks and porous materials to spread to other areas of your building. 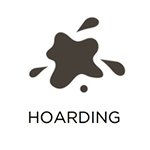 In the process, it can cause discoloration, warping, corrosion, and other issues. 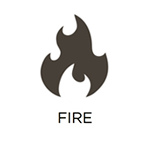 This poses a serious risk to the structural components of your building, as well as your valuable belongings. 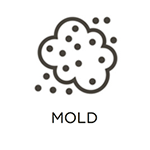 In some cases, mold can even begin to grow due to the excess moisture. At Rainbow International Restoration of South & West Suburbs, we provide 24/7 emergency-response services to those in need. Once on-site, we utilize professional-grade equipment and procedures to remove water, eliminate excess moisture, and restore your belongings. 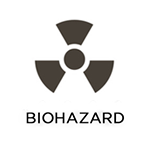 One time-tested method that we implement to achieve this is called Rapid Structural Drying. This process is an advanced dehumidification procedure that naturally removes water and moisture from affected areas and items. We also utilize moisture meters which helps us locate and address all areas affected by water or moisture. When water damage occurs, it may be difficult to tell if you should file an insurance claim for the damage. Our technicians will do a thorough inspection of the damage and advise you on whether you should file a claim or not based on our inspection. If you do end up filing a claim, we can bill your insurance company directly for the claim with our direct billing services. If you have any questions about our water damage restoration services or would like to take advantage of our 24/7 emergency-response capabilities, contact our representatives at (630) 326-5667. At Rainbow International Restoration of South & West Suburbs, we are proud to service residential and commercial property owners in Downers Grove, IL.